Genryukan Aikido clubs is honoured to be hosting the 2013 South Of the River Aikido Seminar on the 24th/25th August 2013. Again we have the wonderful sea views from our venue, the fantastic SAGA Pavilion in Folkestone, and have an exciting programme of Aikido scheduled for the weekend. We are hoping the weekend ticket will provide everyone with amazing value for money. It is an open event, so all are welcome. This year we have a dedicated juniors programme, with some fantastic activities lined up. For more information, use our contact form. 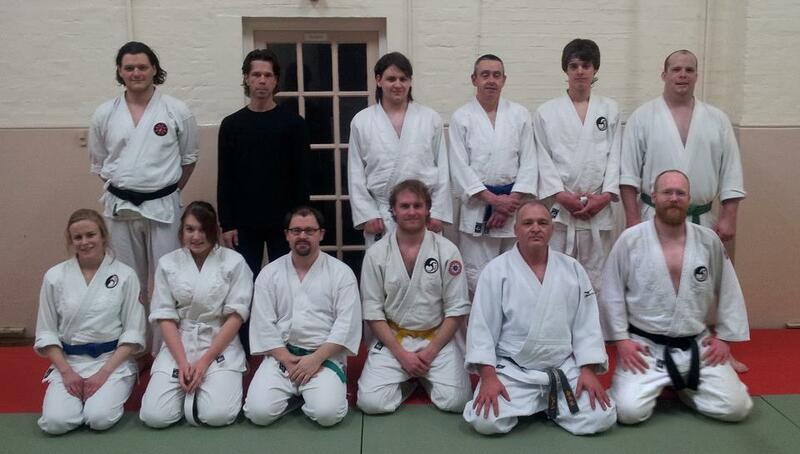 We had an excellent session tonight with Shaun Hoddy Sensei. The session included part of the Koryu Dai Yon, Goshin Ho and some Toshu Randori to finish. A big thank you to Shaun! This weekend, the 3rd edition of the South Of The River seminar took place at the SAGA Pavilion in Sandgate, Kent. We were lucky to have an excellent line up of instructors: Yoshiomi Inoue, Ken Broome, Shaun Hoddy, Harvey Goodman, Mick Pratt and Danielle Jones. We were also honoured to have a visit from Tetsu Ehara Shihan. The atmosphere was very friendly as all the students were keen to practice new techniques. The different approaches from the various senseis made this weekend very interesting, whether you were a beginner or an experience practitioner. It really gave everybody something to think about and work on. I wouldn’t know where to start to resume the lessons, so if you missed it this year, look out for the next one! It was also an excellent opportunity to practice with aikidokas who came all the way from Ireland, Belgium and Holland. Even the juniors had a good time with a tanto taisabaki and open kata competition. I was impressed by their sustained attention and performance. The whole event was a fundraising event, with all the profits going to SAGA Charity. We will let you know the results soon. Anyway, a big thank you to everybody who gave their time and money and made this weekend a successful event. ZETAR clubs are honoured to be jointly hosting the 2012 South Of the River Aikido Seminar. Again we have the wonderful sea views from our venue, the fantastic SAGA Pavilion in Folkestone, and have an exciting program of Aikido scheduled for the weekend. We have a great line up of instructors: Tetsu Ehara, Yoshiomi Enoue, Ken Broome, Shaun Hoddy, Harvey Goodman, Mick Pratt and Danielle Jones. The seminar will take place on the 29th and 30th September 2012. For more details, visit our SOTR page. Shaun took the class through the Jo sections of the Koryu Dai San: Jo Dori and Jo no Tsukai. The 2 hours went by very fast and everybody really enjoyed the session. A big thank you to Shaun and Andy for coming all the way down from Essex, and for being so patient and helpful during practice.